The Island Accommodation is the Official Schoolies Accommodation of Phillip Island. 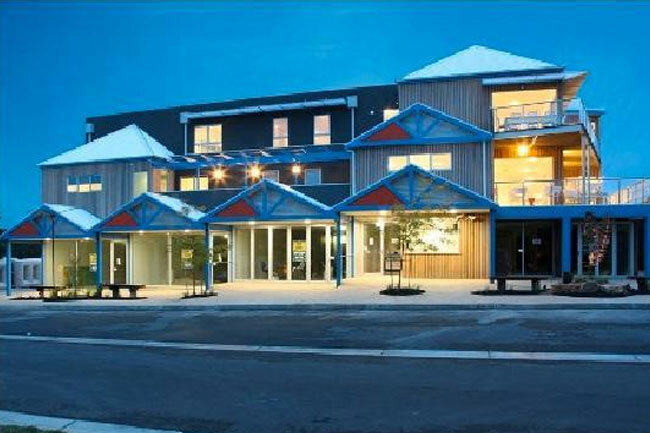 A great new complex which is the home of Schoolies for the Schoolies period. Great new kitchen and bathroom facilities as well as private rooms and lockers. Categories: Phillip Island, Schoolies 2018 (SOLD OUT). Tags: Phillip Island Schoolies, Schoolies, Schoolies 2018. Q) I hear that you can book an Official Phillip Island Schoolies Package for a 5-day stay, is this correct? A) Yes, it is! That’s great news for Schoolies as traditionally there has been little flexibility offered to Schoolies when they book (As they would have to book 7-days). But when you book your Phillip Island Schoolies Package with Sure Thing Schoolies, we allow you to choose 5-days as well. This gives you the freedom and control and saves you from paying extra money unnecessarily. Just let us know you want the 5-day option and we will be happy to assist. Q) What is the Official ALL Ages Phillip Island Schoolies Party I have been hearing about? A) It is Epic and hosted by the Sure Thing Schoolies Crew and as standard, you get to Party Hard with your friends at the resort and it’s a night of action-packed fun. This is an all ages event so nobody misses out. Q) What are these Official ALL Ages Phillip Island Schoolies Boat Parties I have been hearing about? A) They are Epic and hosted by the Sure Thing Schoolies Crew and as standard, you get to Party Hard on the Official Schoolies Party Boat Packed with Schoolies, 3 Hours of raves and action-packed entertainment, Awesome party host, Wild Schoolies Memories and great onboard Tunes. Q) What are these Exclusive Epic Paintball Competitions I have been hearing about? A) They are awesome and not to be missed. The competition will determine which School will be crowned as the Schoolies Paintball Champions! Register your school team now as to ensure you don’t miss out on the action. If you book when you secure your accommodation, you get a $10 discount! Q) What are the dates for Schoolies? Q) Do we have the Freedom to explore and enjoy the rest of Phillip Island? A) Yes. We understand that you want Freedom at Schoolies. You have the freedom to explore the beautiful Phillip Island. You can go shopping, do tours and activities as you wish. There is a free bus that may be available at times (driven by the Red Frogs) for transport between the Schoolies accommodation and Cowes if required. Q) We have been advised to book at an Official Schoolies Resort. Is this right? A) Absolutely. This is a must to ensure you that have no problems at check-in. It will also ensure you are at a “Verified” schoolies resort – these resorts must meet guidelines of safety, prime location, good rooms, schoolies-friendly staff, and it also ensures that you don’t miss out on the genuine schoolies experience. Q) Who goes in which room with each other? A) Each group will get their room allocation, however, we don’t select the guest’s configurations within their own group, they can decide amongst themselves on arrival. Q) Is there a Schoolies Curfew? A) No, there is no schoolies Curfew. Sure Thing Schoolies runs safe and professional schoolies events and NEVER enforces a curfew or lock-out, and NEVER leashes you to the resort grounds. Q) Are Schoolies Activities included? A) Yes, your official “Sure Thing Schoolies” Wristband will get you into the Official Schoolies Party and activities at Phillip Island – The Official schoolies wristband only comes with bookings made at an Official Schoolies Resort. Q) Can we still get access to the Schoolies Party if we are booked elsewhere? A) No. 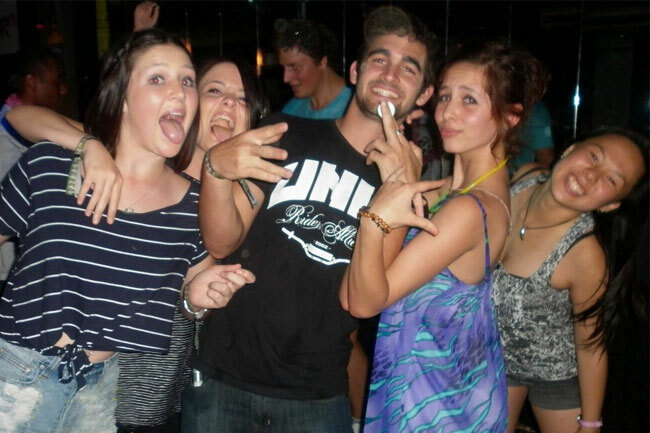 Access to the Schoolies party at Phillip Island comes with any Sure Thing Schoolies package. To get access to the Sure Thing Schoolies Party you must be booked at an Official Schoolies accommodation at Phillip Island. There is no other way to get access to the Official Schoolies Party. Q) What’s the food like at Phillip Island? A) Enjoy the amazing food available at Phillip Island. The food includes all the normal stuff you would expect such as Pizza, Chicken, Steak, Pasta, Fish and Chips, Wedges, Seafood, Burgers, Fresh Fruit. There are also cafes, restaurants and a supermarket close by. Q) Is Phillip Island suitable for people with dietary requirements such as vegan or vegetarian? A) Yes. There are so many food outlets available that you are very likely to find multiple options for your dietary requirements. Q) What Time Zone is Phillip Island in? Q) What is the check in and check out time at the accommodation? A) Check-in starts from 2pm onwards. If you get there before 2pm you may be able to leave your bags at reception whilst you explore the area. There may be many people checking in at once, so keep in mind that you may not be able to check in at exactly 2pm. The whole group should check in together all at once. As for Check out, you must vacate your room completely by no later than 10am on the day of departure. Q) What is ATAS accreditation? A) This is the highest level of accreditation available to Australian Travel Agents and Tour Operators. Only the best of the best have this qualification. Sure Thing Schoolies is honoured to have ATAS accreditation. Sure Thing is the only Schoolies company that is ATAS accredited – ensuring you reliability, credibility, professionalism and an absolutely awesome Schoolies week. Q) We’ve heard that Phillip Island Schoolies with Sure Thing Schoolies is Epic, is it? A) Yes, Sure Thing Schoolies hosts the Official ALL Ages Phillip Island Schoolies Parties and the Official Phillip Island Paintball Competitions. In addition Sure Thing Schoolies Resorts are rated 5-Star by the Sure Thing Schoolies Crew. Q) How soon should we book? A) Just like the hottest concert tickets… The schoolies hotel rooms get snapped up nice and early, the earlier you book, the better it is for you. To get things rolling, contact schoolies@surething.com.au and let them know how many people are in your group. From there, they will send you an itinerary of the best available rooms and will give you details on how you can make them yours!